Everything was fine, but suddenly you notice and error code flashing on your dishwasher or washer. What’s wrong? Can you deal with the problem yourself or is it better to book an engineer? repair help. We will teach you to deal with a number of common problems. 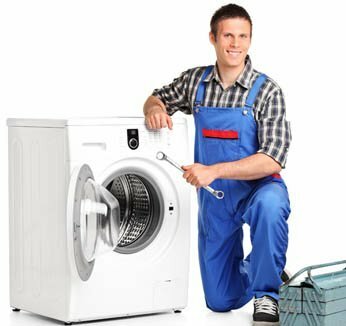 Following our recommendations you may be able to repair your dishwasher or washer without waiting for a technician. Checking out the dishwasher error codes in our database is the first step. Normally error codes can be seen on the digital display. The models that do not have digital displays typically show errors with the help of the cycle indicator lights. The washer error codes are displayed in the same way. 72% of all washer and dishwasher issues can be resolved in less than an hour even if you do not have special training! So is it really necessary to call a service technician at once? To repair your home appliance on your own, follow these simple steps. First, check whether your washer or dishwasher is displaying an error code. If yes, find the make of your home appliance in the “Dishwasher/washer error codes” section and try the solutions suggested for your case. If there is no error code, you need to identify the symptom and refer to the charts in the “Dishwasher/washer troubleshooting” section.